Posing an enormous presence around the glass, Detroit Pistons center Andre Drummond is an absolute rebounding machine. So much, that he led the NBA in rebouding during the 2015-16 season. Named to the 2016 NBA All-Star Game, Drummond is one of the most explosive big men in the league today. 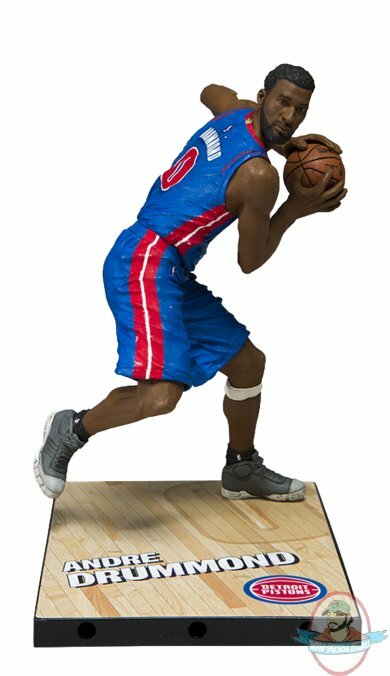 Figure stands 7 inches tall and comes in Detroit’s all new 2017-2018 road uniform.